Our community of trusted car-sharers grows by word of mouth. You can offer friends credit to try us, and get credit when they do. 1: Share your invite link offering friends Car Next Door credit. 2: Once they take a trip or share their car, you’ll earn Car Next Door credit too. Log in to get your unique invite code and invite friends. I’m a car owner - why should I invite others to list a car? More cars means more bookings for you! We've found that when we set up cars in a new suburb, the more cars there are in a cluster, the more bookings each those cars receive. The number of Borrowers in an area grows exponentially in relation to the number of cars. Which makes sense ... If a car is solo in an area, it only takes one Borrower booking or an Owner booking to eliminate the supply for other Borrowers. So a cluster of cars makes the supply more reliable, and hence attracts more return Borrowers. We are putting on more cars every week. This will result in more marketing activity, which results in more Borrower applications, & so more bookings on your car. 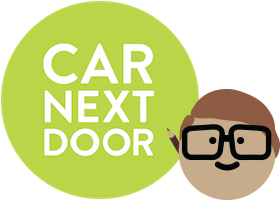 You can help to grow the car-sharing community (and your car's activity) by telling your car-owning friends and neighbours about Car Next Door.